Luxury seekers can choose to stay either in Hotel Midtown Pritam or Ramee Guestline Hotel. These 4 star properties are located quite close to Dadar Railway Station as well as Dadar Bus Stop. Well-appointed spacious rooms, state of the art amenities, world class facilities and proximity to tourist attractions are common features of the two hotels. A 3 star hotel, Hotel Avon Ruby is ideal for budget travellers who want good facilities in affordable rates. Guests staying here can explore nearby attractions like Siddhivinayak Temple, Haji Ali Dargah and Dadar Chowpatty. 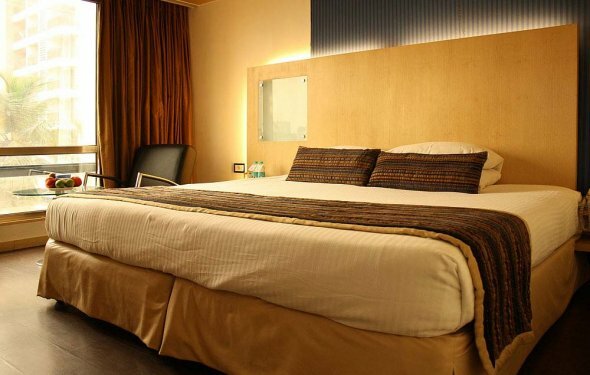 Tourists who are looking for pocket-friendly economical Dadar hotels, can choose from various options like Hotel Bawa Regency, Hotel Paris Residency and Hotel Happyland. All these hotels cater to holidaymakers as well as business travellers and offer comfortable rooms along with decent facilities.